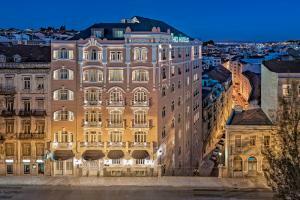 Portugal’s capital city of Lisbon offers historic neighborhoods, medieval monuments and spectacular coastal resorts. Lisbon’s position on seven low hills beside a river once lured traders and settlers, and it’s still a stunning site. Add to that its cultural diversity, laid-back feel and architectural time warp, and you have one of the most enjoyable cities in Europe - and also one of the most economical. Praca do Marques de Pombal Our 4-Star classification designates those properties with well-appointed, deluxe accommodations, extensive amenities and comprehensive guest services. Expect attention to detail and a warm and hospitable staff ready to cater to your needs. These superb properties offer a truly refined getaway.